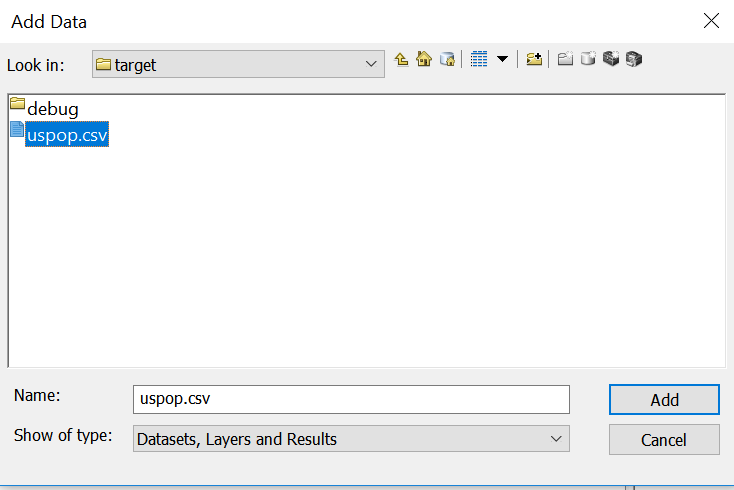 Download and open the following “uspop.csv” file. 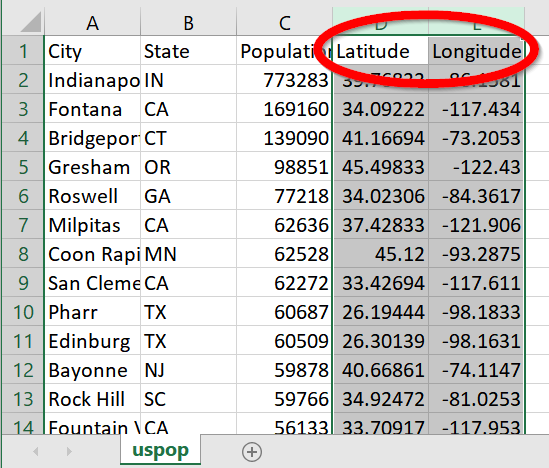 This data set happens to have “latitude” and “longitude” columns! Click OK and the points should show up! Keep these points for the next scenario! Say you have new data only based on city names, how would you join it? 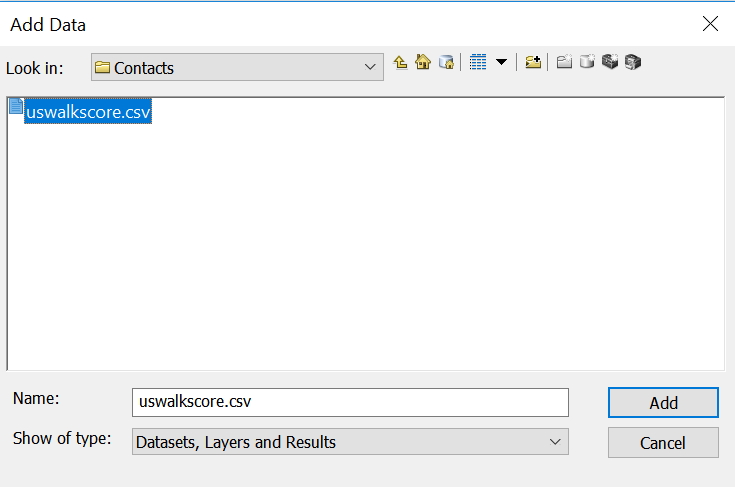 Go ahead and download the uswalkscore.csv file. Notice that there is no latitude or longitude. 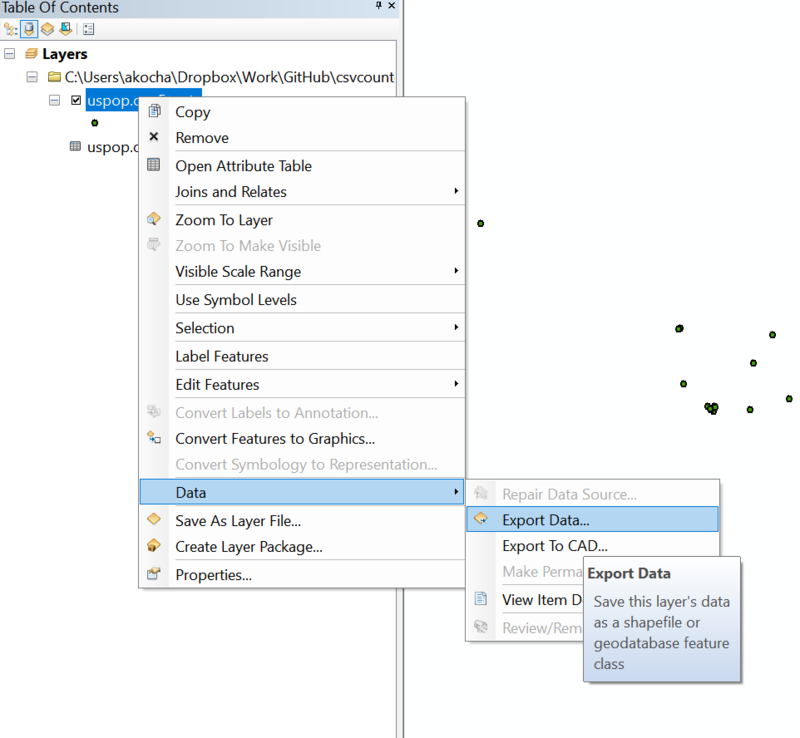 Add the uswalkscore.csv file to our ArcMap project. 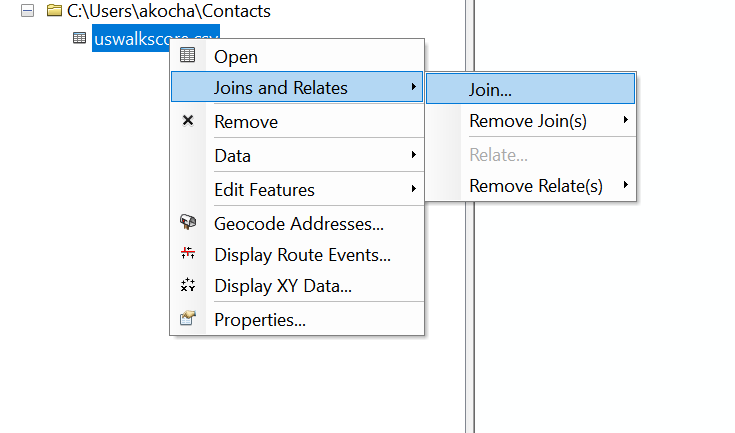 In the following dialogue box, make sure to select “City” for the field that the join will be based on. 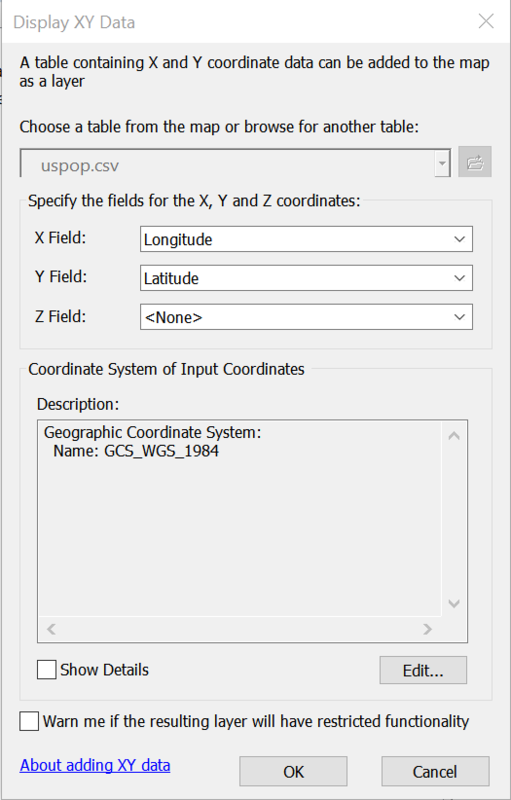 Then choose the “us_pop” layer and select the “City” field. 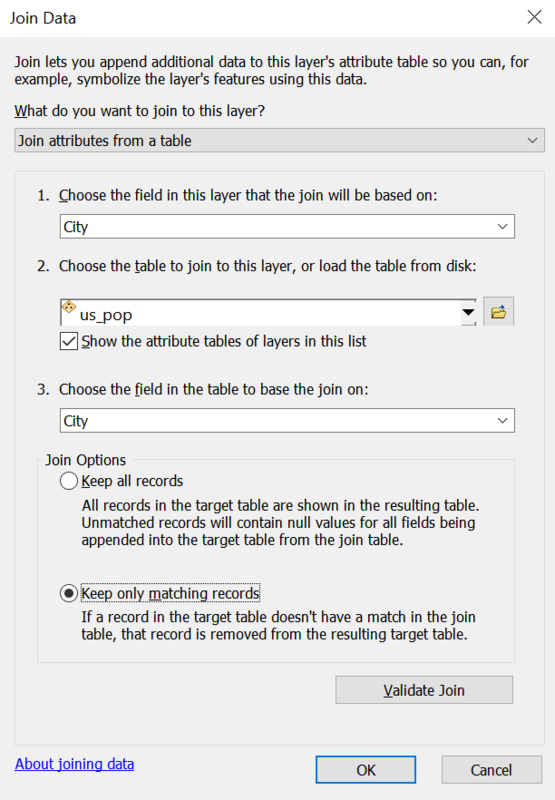 For Join Options, select “Keep only matching records” so that the resulting shapefile contains just the data we connected. You can see the formatting requirements for UCLA’s geocoder which mandates that specific columns have to be in a particular order. 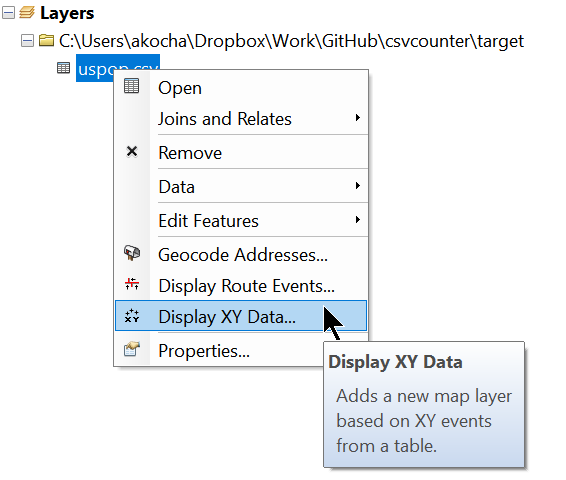 Once geocoding is done, you can save it as a csv file. 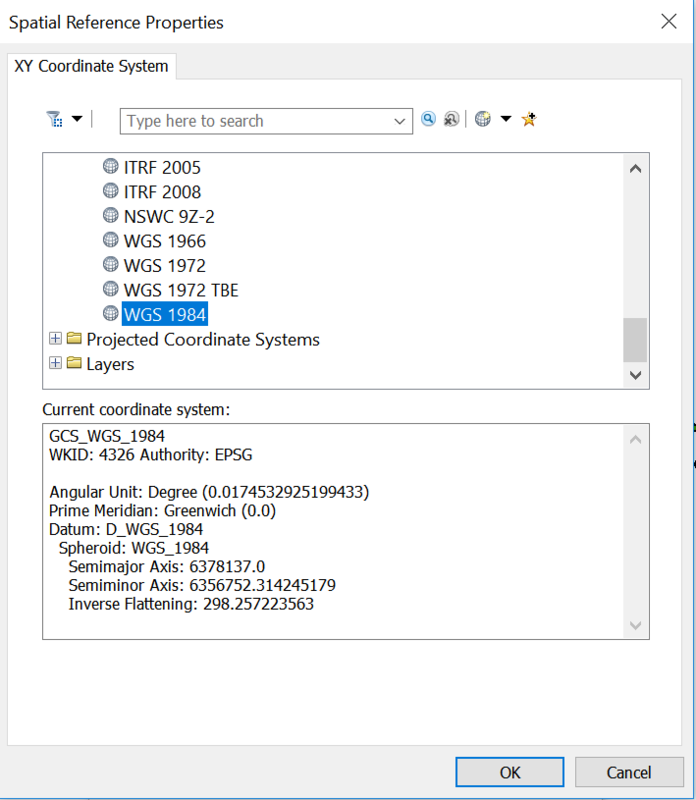 Then add the latitude/longitude as XY coordinates, just like in the first scenario.